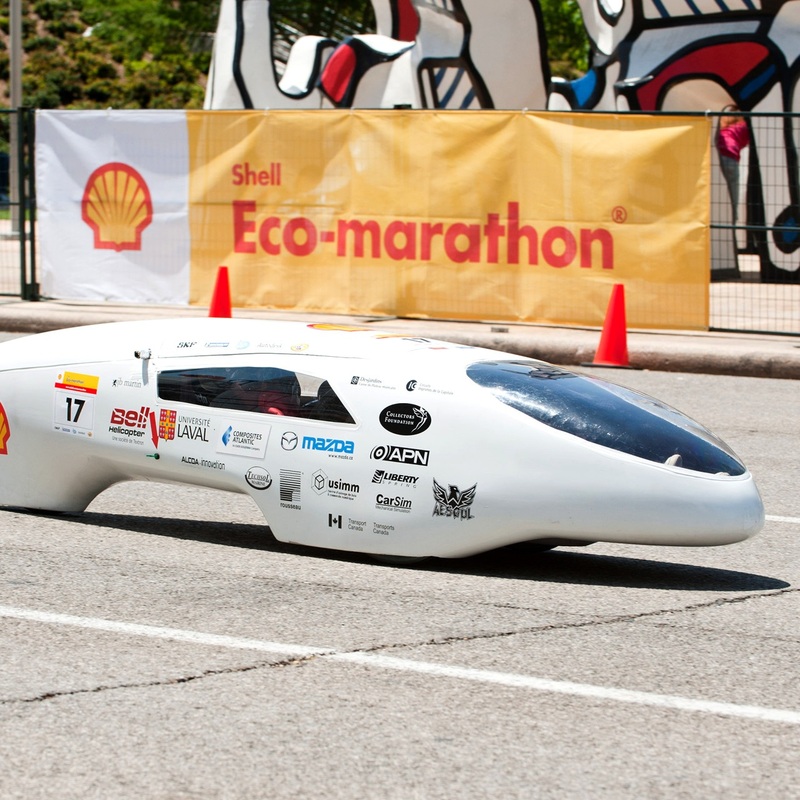 Shell’s Eco-marathon Americas is a large event that garners participation and attention from across the country. Amuse worked with Shell to create an integrated display campaign and content program that took advantage of both Shell’s existing content and content newly crafted by our team to create awareness of the company’s affinity for eco-friendly technology, thought leadership, and community involvement. Shell hosts its Eco-marathon Americas to challenge student teams across the nation to design, build, and test ultra energy-efficient vehicles. 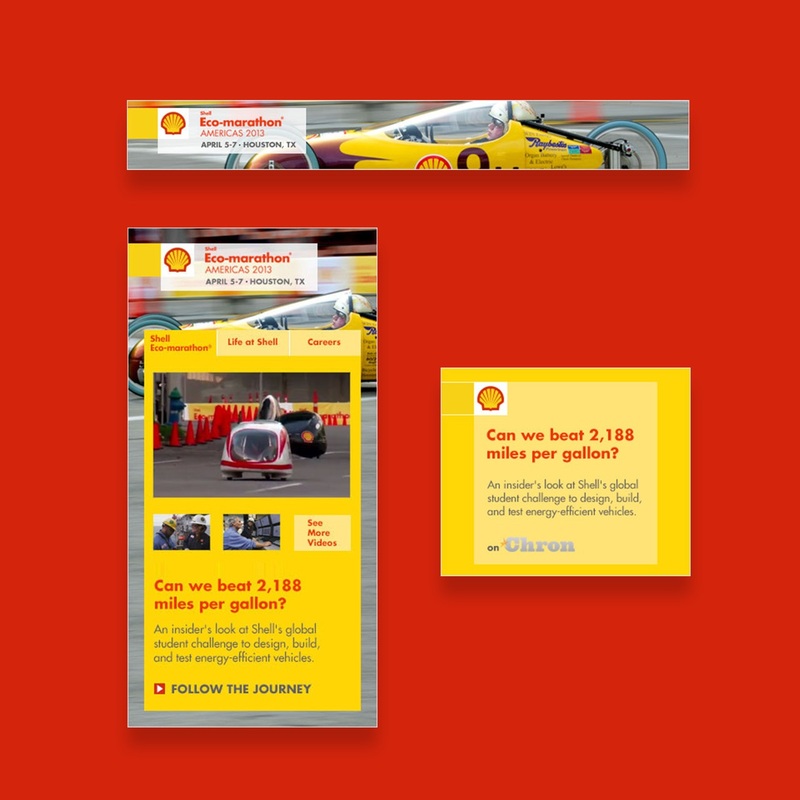 To create excitement for the event and to demonstrate its commitment to environmentally friendly innovation, Shell builds up a massive marketing push centered on the Eco-marathon. The company came to Amuse for a comprehensive, sharable solution using its marketing assets to build awareness of its sponsorship of green innovation. Amuse built a multifaceted brand integration hub that informed and inspired visitors. Leveraging the relationship between Amuse and the Houston Chronicle, our team implemented this branded experience within Chron.com. Shell owned 100% share of voice for all media in the hub to take advantage of Shell’s vast library of content and concentrate the brand-building impact of the hub. 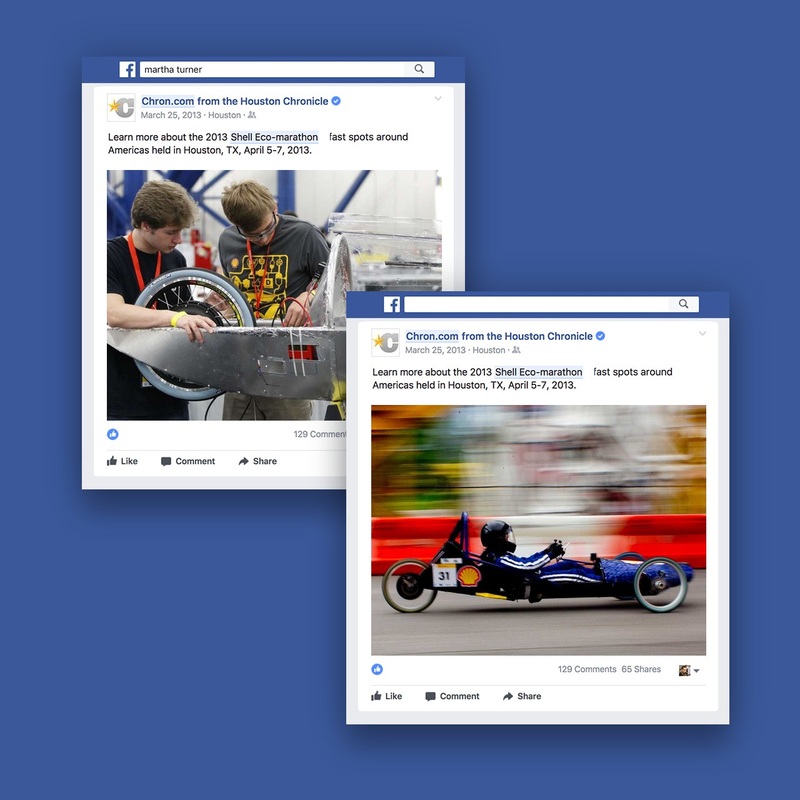 The team also created sponsored posts on the Houston Chronicle Facebook page to gain the attention of the established and engaged audience of a respected third party. Like the rest of the team’s efforts, these posts drove traffic to the custom content hub on Chron.com. Crowning the campaign, an interactive experience module made the hub more engaging for visitors. Amuse utilized an existing audience primed for engagement by crafting sponsored posts and sharing them through the Houston Chronicle Facebook page. These posts featured engaging copy and eye-catching images to encourage users to click through to the custom content hub built for Chron.com. Built within the Chron.com architecture, the content hub acted as a home base for several sponsored articles. 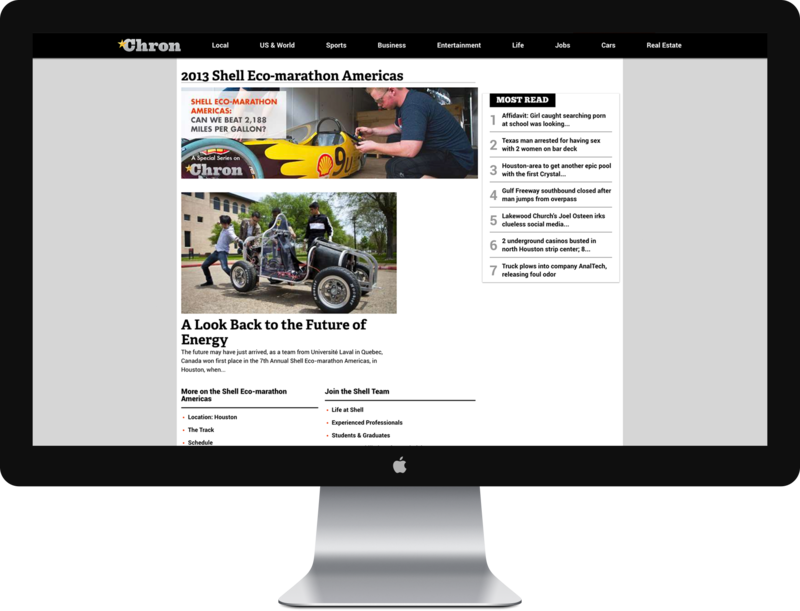 Each article reinforced Shell’s eco-friendly brand messaging while aligning with editorial content normally found on the website. All written content focused primarily on the Eco-marathon itself to increase awareness of the event and its purpose. Our team built an interactive experience module for the hub to provide additional content for the target audience. Inspiring readers to “Follow the Journey” of the Eco-marathon, the module presented audiences with videos about the Eco-marathon, as well as day-in-the-life information about people building their careers at Shell. Additionally, it directed readers to relevant links, videos, and social media pages to continue the experience beyond the hub.